There is no big surprise among my income streams (I have to work on it), but I am again very positively amazed by the total numbers. I have reached another record with Android ads earnings. I can hardly believe in my month to month grow by myself. Fortunately I know the trigger that have started my income boost and as reported by many of my eBook readers it is working well for them too. It looks that December Android ads income is very close to November so it is slowly getting stabilized but more info will be put in the December summary. As always here is your (and mine) favorite part. The real numbers. As the little extra this month you may want to check my ads income balance screenshot attached. My total income on November 2011 was ...[PLEASE LOG IN TO READ]...! That is another great month that makes me happy that I quit my day job! I have not much conclusions to tell you this time. It was great month and I am very happy that I have a support from my readers. As written before you may expect a December and annul summary by the end of the month. Moreover I am considering giving up those reports and stop selling my eBook as I have to deal with many people who copy&paste my ideas instead of using them in their own projects. Fortunately Google helps in many such cases but it is hard to think about development when need to lose time on such problems... Thanks for reading and hope to see you here soon by the end of the month... or earlier..? Happy new Year! Congratulations on another great month’s income! That unpaid balance is crazy. Good job increasing the earnings so much over September as well. Just out of curiosity – I noticed a big spike in new users over all my apps during November. Did you see the same? Hello. Thank you for your comment. I see rather constant grow of new users. November is no different. Waiting for your report! Hi, i’m interested in buying your ebook but have no access to paypal, can i pay you via credit card via ejunkie, alert pay or 2checkout? Please i need to buy before u stop selling your ebook. Please email me via my contact form. At some point you mentioned that the book was updated. Is there a way for me to get the update? (I bought it in August or September, iirc). Last version is 1.1. If you have any older please contact me with your transaction id via email. Ah, never mind then. I thought there was an update since then. 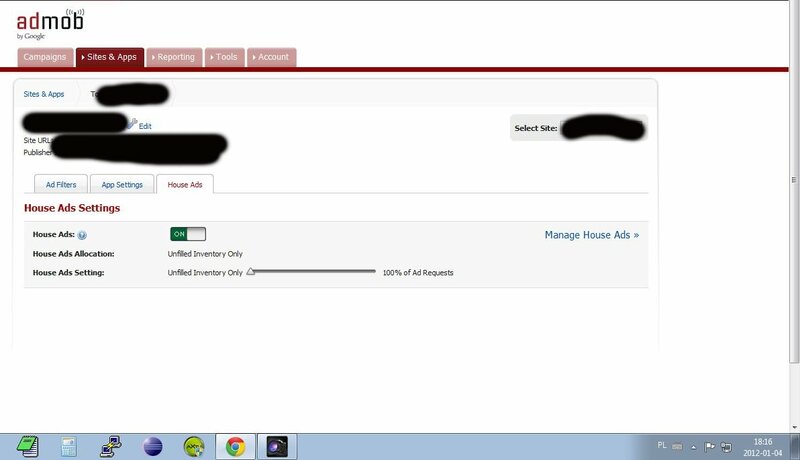 You mentioned House Ads before for unfilled inventory before. However, AdMob no longer uses it. Have you found a way around that? Admob IS still using it and it works very well. I don’t think so. It’s a very recent change. You can no longer set House ads to be play unused inventory. Instead, you simply set the target amount of impressions and it simply plays as a part of the regular rotation. At least that is how my AdMob is setup. Done this screenshot just for you a few minutes ago: click. Maybe this gets enabled when you get to your level of impressions. Hey Kreci, glad to see you’re doing so well. Can I ask for more details on your Amazon Affiliate Earnings? How many products are sold and what sort of traffic is it taking to achieve those sales? I am selling on average 10-30 items per month. Mostly from it equipment and books. Some computer hardware is selling via my blog at http://www.minimotherboard.com and some via this blog. Thanks Kreci, hope it keeps going well for you. Congratulations on your growing success!!! I always look forward to your report as it’s very encouraging!!! Waiting for your December report man! I’ve started with apps, but hoping to learn a thing or two from people like you. Keep up the good work! could you share some info about how much download you have, how many active apps and impressio stats. Thanks. Do you also suffer from a drop of both eCPM and CTR since 01 January? I had a very good December (for my standards – made 1100 usd). It also seems that “rules of the game” have changed – it looks that there is no first day and no refresh “bonus” at all. Time to change the strategy. Do you use ad filtering? Hello. Yes I have lower CTR and eCPM. But there is how you call it “refresh bonus” next day. Anyway lower than on the end of the year. Most probably because of the end of most xmass promotions. It would be great if you could mention my website / reports in one of your future posts! Did you ever have problem with latest admob sdk? , i just recently added new app and my app status after working some time turned to red (inactive) from green. Do you think admob disabled app or it is some software error? Hello. I have latest sdk integrated and had no any problems. Let me know when you find out what the problem is. Hi Have you use score ninja, i go to the site but is not work for me, i make any mistake? It worked for me last time I tried it. It’s hard to tell what may be wrong without any logs. No , in the site after push create board, nothing. Great report as usual Kreci! Looking forward to your annual earnings report as I’m sure those are great as well. I’ve just finished and released my first serious app, I say serious because my very first app was a Bob Marley wallpaper app(close to 10,000 installs and growing). But this is more of a utility app that lets users easily create photo albums. I’ve released a free version with Ads and paid version without, do you think this was a good idea? I’ve uploaded the paid version to Amazon as well and I am getting more installs there than on the market, but I worry that having a free version will hinder my apps success(financially). Should I have only made the paid? I am providing only free versions via Android Market as my country is not allowed to publish paid ones. And because of this I am writing apps that will be popular as free ones and most probably not to successful as paid ones (at least for Android). I am doing well with free versions only. But your case with utility app may be different. Hey that ads income u mentioned ($5,142.70 ),how many free apps ad fetching you that ? and can u mention the download count of each app? or least the one with max download ? maybe those f… monopolists wants clicks for free? or 99% money for them? Thanks for the link. I do not have updated stats from yesterday (those are late over 24h) so have no idea what the impact for my earnings may be. Will see it in e next few days. Do you know exact nmbers now? My CPC dropped to the half of what it used to be before 15th. From what I tried Admob was best till now. Did you have problem in last 2 days with admob fillrate? I am publisher longtime ago and in last two days (21 and 22 February) , my admob fillrate dropped from 97% to 60% for the first time in last 12 month period. I have google adsense enabled. Is it only me or you are experiencing this problem too ? Hello. Had the same issue and was worried with it. But it looks that it got updated after few hours. It looks that their servers are not synced the way that should be. These problems occur many times? Any of you guys are experiencing the same in these last 2 days period? Oh well, i think it’s just a delay on the impressions information… my data from yesterday reveals now a 100% fill rate… the requests info is shown with few delay i think. They had this note and stats were delayed but not as much as last days. Anyway it looks that everything is fine. As replied above. Stats updates with few hours delay. Can you tell, from your experience (on using AdMob), if you get better results on using AdMob Ads + Google Ads, or just using AdMob Ads? By results here i mean more clicks! Definitely I get better results with Adsense. But I have not disabled it since Admob enabled it on my account. So I can say only about increase of ecpm after initial enabling. I purchased your ebook and wow did it get us going well! We now have an app with over 650,000 downloads and over xmas made over $5000 in ad revenue solely down to your advice. Thank you! Hi Jason. It is great that my eBook was helpful. Unfortunately my revenue is looking similar. From the beginning of January my downloads and ecpm has dropped. It is natural that it is lower after xmass. But it is taking too long now… Google is joining Admob with Adsense and it may be the problem. I still hope it will become more stable next days. I am testing Pontiflex for about a month now. Will post my results on the blog soon. But most probably I will have to close part of my blog for paid subscriptions only as posting financial data brings me to much easy money lovers attention (copy&paste fans). 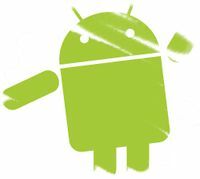 Hi, I want to know how much time need learn programming(java and adnroid) to start make android application for android market? Will be very grateful for the response. There is no rule for this. Start learning and try to do something unique with your knowledge as soon as you will be able to. If you want to make money online you will need bank or at least paypal sooner or later. How do you deal with the art design? Doing most by myself or getting free content provided by others. As a customer who bought your ebook I would like to know when will you post next entry? I need to make some changes with my blog and won’t post it until it will be done. 1. when will this happen? I am following your blog and hope to see some numbers ON REGULAR BASIS that could point out right business decisions. 2. Lack of monthly highlights suggests problems ahead with your business model. Could you elaborate this? Did you experience any drop in income level during February? Thanks again for great book! Could you jt reply to #2? Krzysztof, lack of your answer is very disappointing. At least for customer who paid for your book. Hello. Sorry but I do not track all comments daily when I do not write new posts. There is a drop after December that is rather natural in this part of year. Amazing earnings as usual Kreci. Every article I read tells me the number of Android users keeps growing with each quarter, so that’s good news for developers. Your not publishing income reports now. What’s wrong? I have suspended it like for now. I have to consider if I should publish more and on what terms. Hello. I think it would be a wise idea to limit at least part of your content to paid subscribers (or some other method – at least a free user login). Like you have said, there are too many copy/paste developers out there and with everyone trying to make a quick, easy buck, the mess of poor quality developers just dilutes the market with nonsense copycat apps. It is great to see other developers sharing their findings and numbers and I thank you for taking the time to share with the world. If you don’t mind me asking, about how many page views does this blog get daily? Congrats on your success! Don’t let the lazy copy/paste people bring you down! Too bad you suspended the reports. I can only assume you had some problems because of them. I hope that you will decide to keep posting them. They were very inspirational. I just started recently to play with the android market so it was nice to read that it’s possible to get decent revenue from the free apps. Who did you released your cash outs? Did you make direct transfers to your Bank Account? Did you pay tax or skip this or put it in PIT? I have registered self employment company and pay taxes by making invoice to each transfer I get (no matter if via wire or paypal). Congratulations on your success! I am trying to increase my online earnings by learning CSS and HTML and creating WordPress & Blogger Themes. I hope to one day have just as much success as you have.